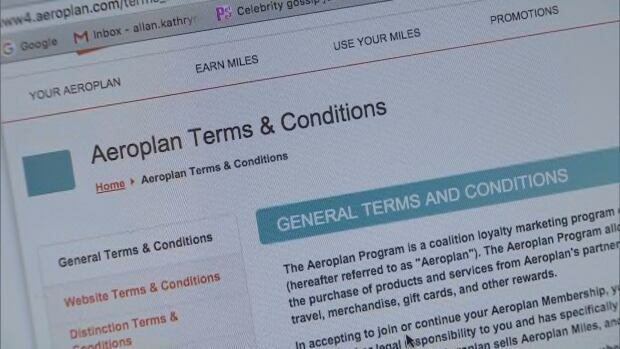 What happens to Aeroplan and other reward program points when you die? Click here to view original web page at What happens to Aeroplan and other reward program points when you die? As a full-time parent to two young children, Aaron Saltzman’s ‘real’ day job provides practical, hands-on experience for the position of CBC’s Senior Reporter, Consumer Affairs. Nearly 20 years experience in television, radio and online news also helps. 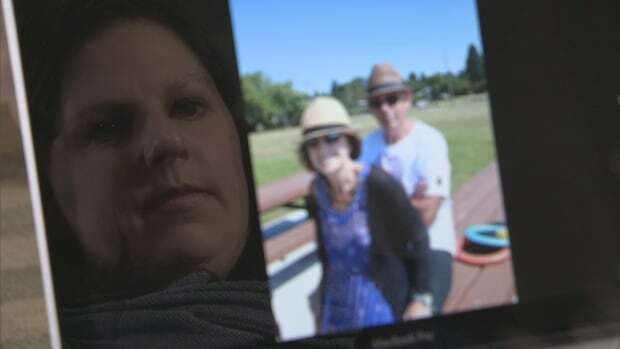 Aeroplan is “capitalizing on someone’s grief” by charging a fee to transfer points from a deceased member’s account, says the family member of a woman who died leaving 250,000 Aeroplan points behind. “It seemed so callous. It seemed really insensitive. And it seemed really unnecessary,” says Kathryn Kwasnica of Victoria after finding out how much it would cost to transfer to her father the 250,000 points accumulated by her late stepmother. But Aeroplan says it also offers a second option that allows users to avoid paying that cent per point charge altogether. And even though the fees can be significant and travel booking potentially restrictive, compared with some other loyalty programs, Aeroplan has one of the better policies for dealing with points in the account of someone who has died. Kwasnica’s stepmother, Linda, started feeling ill about a year ago, but it wasn’t until last summer that she was diagnosed with mesothelioma, an aggressive and deadly form of cancer. “Six months later she was dead,” says Kwasnica. Linda was 68 when she died on Jan. 7. Kwasnica, acting on behalf of her grieving father, husband, called Aeroplan to find out what to do about Stewart’s Aeroplan points. She says she was told, in the event one of its members dies, Aeroplan charges a fee of $30 plus one cent per point to transfer the balance to a surviving family member. In Kwasnica’s case, because her stepmother had about 250,000 points, the fee would have amounted to about $2,530. “That seemed crazy for a data transfer,” says Kwasnica. “My father passed away a year ago, so I completely empathize with members who are going through what they’re going through,” says John Boynton, Aeroplan’s chief marketing officer. For a flat $30 fee, Aeroplan also offers the option to transfer those points to a newly created estate account, which can be used by surviving family members. But Kwasnica says she was told by the person she contacted at Aeroplan that the points in the estate account must be used in their entirety within one year. Many Aeroplan trips need to be booked at least a year in advance, and Kwasnica understood that to mean her father would have had to make travel reservations practically while planning his wife’s funeral. But Boynton says that’s not actually the case. However, redeeming Aeroplan points for a gift certificate does not always offer the best value compared with, for example, redeeming those points for an international flight in business class. Patrick Sojka of the website Rewards Canada says transferring points is not a large expense for a loyalty program. “Honestly, [the fee], it’s money-making,” he says. In Sojka’s view, the fee is about maximizing revenue. “The fact [is] that the miles on those accounts are a liability. The sooner they can get them off the books, the better,” he says. Compared with Aeroplan, other loyalty programs have terms and conditions surrounding death that are less favourable. But there may be ways around this. In March 2013, Delta Airlines changed its policy, declaring SkyMiles would no longer be transferable upon death. As a result, travel writers, bloggers, and travel hackers started advising SkyMiles members not to notify the program of a death. “It’s a grey area. But you don’t let the program know that that person’s passed away,” says Sojka, who also advises this. It’s not clear if companies will crack down on this apparent loophole, but Sojka says he hasn’t heard of any repercussions from taking this route. Now that they know about it, Kathryn Kwasnica says her family will probably go with the gift certificate option for her stepmother’s Aeroplan points. Life After Death Who Owns Your Social Media Sites? Click here to view original web page at Life After Death Who Owns Your Social Media Sites? Whilst most of us prefer not to think about our death, we all know that we should make a will to ensure that our loved ones know what we would like done with our assets – our books, cd collections, dvds, electrical goods, jewellery and other valuable property – when we die. However, with the dawn of the digital age, our assets are becoming increasingly intangible; our music is more likely to be downloaded and stored on an iPod than bought in the physical form of a cd, our bookshelves are looking sparser as we buy more and more books for our e-readers, and even treasured family photographs are more likely to be stored digitally via services like Facebook or Instagram, than kept in an old fashioned photograph album. As well as the things we lease or store online, most people also have several other online accounts, for things like email and personal blogs, as well as subscriptions, access to banking, gaming and even accounts that contain financial assets, such as PayPal. A recent survey of 2,000 people, by computer cloud firm Rackspace, showed that 53% of those questioned held treasured possessions in these services. The same survey estimates that by 2020 a third of people are expected to download all of their music and that 66% of people rely on cloud computing services every day without realising it. Rackspace estimate that Britons currently have some £2.3billion in digital possessions and this is set to increase. All of this means that passing our assets on to our loved ones has become more complex. Whilst expressing your wishes in a will remains relatively simple, the terms and conditions which apply online accounts can vary and getting what you wish for your online assets may not be straightforward. An important issue has arisen with cloud services – applications such as email and social media that allow you to store large amounts of data and communication material with them, as opposed to in the memory of your laptop, tablet or phone. Whilst it might seem simple matter to bequeath your Facebook, Twitter or iTunes accounts to someone – your ability to do so is governed by the End User Licence Agreement (EULA) – the terms and conditions governing use of the site – which you clicked and agreed to when you opened your account. Most EULAs, including those for Facebook and Twitter, have a clause which stipulates that you can’t pass passwords or access to your account (and the data contained within it) onto a third party and which can mean that when you die they can refuse a third party – even a named executor – access to your accounts. Music and books – to buy or let? Passing on your music or books is equally complex. Whilst data stored to a hard drive can be passed on relatively simply, the fact that you are unlikely to actually own any of the music or books you have downloaded, means that your beneficiaries may not be able to use this content on other devices or using other accounts. Most download companies – such as Apple, and Amazon, issue you with a licence to download and play the music or read the book which means your digital music and literature content is effectively leased not owned. Whilst it remains unclear how providers will treat downloaded content after a death, they currently have every right to revoke your licence on your death. It’s clear that there are many legal considerations regarding your online property and what you are entitled to pass on is changing as rapidly as the technology that hosts it. However, whilst the law may be struggling to catch up with the rate at which what we own and how we own it is changing, the technology industry itself is already miles ahead of the game. Online services, such as Cirrus Legacy and Legacy Locker, enable you to store all your passwords, and allows your nominated ‘digital executor’ to access the accounts you wish him or her to access when you die. Other online services, such as the ominous sounding Death Switch, can in be set up to ‘check in’ with you on a regular basis and if, after an agreed period of time, you don’t reply, it will assume you have died and, on your behalf, send the emails and messages you have left with them to loved ones. It seems that even death can’t escape the march of digital technology and that we all need to take steps now to protect our future digital inheritance. With rapid advancements in technology there is the increased likelihood that you have created a digital presence and online identity. As time goes by many of our ‘possessions’ are becoming digitised, creating a new category of personal property that being the ‘digital asset’. A digital asset is anything you may own, or have rights to, that exist either online or on hard storage devices. 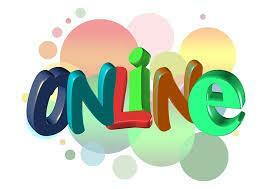 Some examples of your online assets include email, social networking, iTunes, cloud storage and financial accounts. Hard storage devices include assets such as computers, laptops, USB, smart phones and any other external storage drives which are locked by way of encryption. 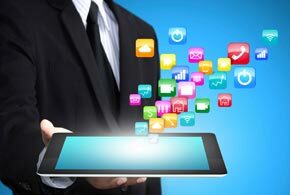 Why is important to consider our digital assets in estate planning? Whilst we are creating personal digital assets at an unprecedented rate, the laws governing them have not developed simultaneously. It remains unclear where the notion of digital assets fits among other traditional concepts of property. Therefore in order to protect these assets, it is important to make separate provision for dealing with them in your estate plan. It is important to deal with these assets for various reasons. 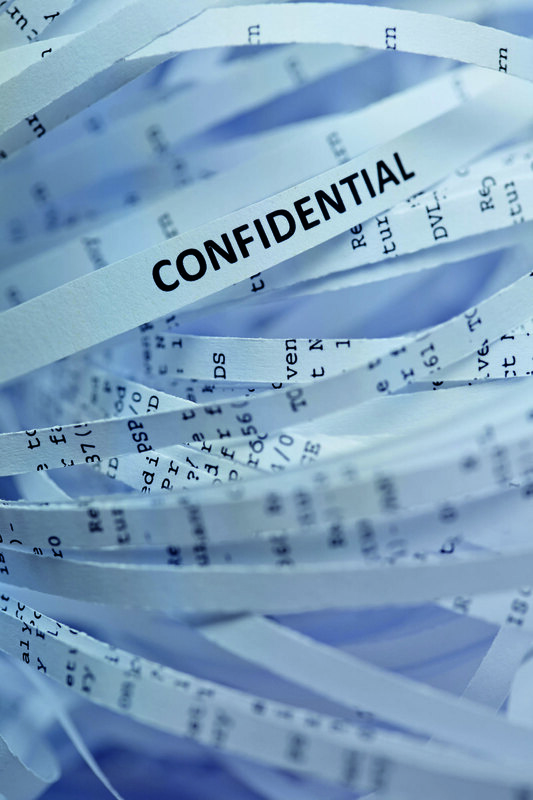 This includes the prevention of identity theft, to have your history and memories recorded and your wishes expressed, to continue the management of any online business, to assist your executors in the estate administration process and also for preventing any litigation which may be required in being able to gain access to such assets. Furthermore, whilst the value of a digital asset may vary, the particular type of value of the asset may be significant for a loved one or beneficiary. For example, the asset may have sentimental value such as digital photos, or it may have significant monetary value such as a professional blog or writing. How do I include digital assets in my Estate Plan? The first step is to create a digital inventory of all your assets. This inventory will need to include the names of all your assets and where they are stored, as well as all the usernames, passwords and secret questions which will allow a nominated person to be able easily access them upon your incapacitation or death. It is then important to think about what you’d like to happen to these assets upon your incapacitation or death. For example, would you like to have your Facebook account closed down or memorialised? Is there someone in particular you would like to have access to your iTunes account? Once you have made the inventory and considered what you would like done with your assets, it is then important to make your wishes legally binding by formalising them in a Will and Enduring Power of Attorney. The most important part of planning for incapacity is to execute an Enduring Power of Attorney. This document will allow you to appoint someone that you trust to deal with your digital assets effectively and properly in the event you are incapacitated and can no longer control the accounts yourself. Your Will is the document which addresses how your assets will be dealt with upon your death. Therefore it is important that your Will make provision for and include a clause that will give power to your executor to handle and manage your digital assets in accordance with your wishes and the terms of your Will. Your executor, being the person you have nominated to administer your estate, should also have access to your inventory of your digital assets. This allows them to know what assets exist and where to locate them. The inventory should remain separate from the Will and should be updated as required. The concept of ‘digital assets’ is no longer an idea of the future but rather it is very real and present right here and now. Therefore, it is prudent to seek advice from a solicitor in relation to your digital assets and your estate planning needs. A solicitor is best equipped to provide you with appropriate advice on how to best to structure your affairs in order to ensure your digital assets are dealt with effectively in your estate plan. For advice on Wills and Estate matters contact Jason Coluccio or the team at Welden & Coluccio Lawyers. With an extraordinary concept and an ingenious approach to end-of-life planning, Heavenote’s no-cost digital legacy planning makes life after death free and digital for all. TUSLA, OK – 04 Feb, 2016 – Heavenote announced Friday its official expansion into the American end-of-life planning market with the introduction of a free membership plan after almost three successful years of paid membership service abroad. Founded in 2013, the award-winning Oklahoma-based firm specializes in helping customers maintain “digital legacies” – memento message collections stored online – that can be shared after their departure. Messages are then scheduled for posthumous message delivery, an event confirmed by the Heavenote yearly response system or a trusted third-party. But the firm’s newly introduced basic plan allows members to do all of this for free. First-time and existing members can now enjoy unlimited text and picture messaging for scheduled delivery, and a free 30-second video message to help users maintain more personal connections with their loved ones. The free plan also includes generous amounts of online storage space for safeguarding important documents, photos, files, and other messages one may want to pass on after they’re deceased. Heavenote also offers a premium membership plan that includes increased file storage space and longer video messages at greater quantities, for a nominal yearly fee. And at the top of Heavenote’s service tier lies the referral-based Ambassador plan, one that rewards customers for sharing the company’s message with friends. Asked to describe what distinguishes Heavenote from similar companies and what will set the firm apart, the CEO cites their IT expertise, focus on data security, Heavenote’s overall ease of use, and having a noble mission as key to delivering a superior service. Heavenote’s FREE digital legacy service is now available in the United States. An a digital legacy and end-of-life planning firm, Heavenote was founded in February 2013 with a single mission: to give everyone the right of dying with peace of mind. The company provides an automated service in which scheduled text, image, audio and video messages are delivered to their intended recipients after its customers have passed away.